When the Tigers made the the blockbuster trade in December which brought back Miguel Cabrera and Dontrelle Willis in exchange for Cameron Maybin, Andrew Miller and 4 other prospects, I was very excited but I said I wouldn't consider the trade a success unless Cabrera was signed long term. Apparently, that is about to happen. ESPN is reporting that the Tigers are ready to sign Miguel Cabrera to an 8 year $153 million contract which means he will be a Tiger through the year 2015. The $153 million contract would be the largest in the team's history more than doubling the $75 million dollar deal given to Magglio Ordonez in 2005. Assuming the figures are correct, it looks like a good deal for the Tigers given the current and probable future market. They would get him for less than $20 million per year which is less than some had speculated for one of the game's premiere hitters. The best part of the deal, as far as I'm concerned, is the length of the contract. It will take him through the age of 32 which means he should remain a great hitter through the length of the contract. Anything longer and you risk going into the decline phase of his career. 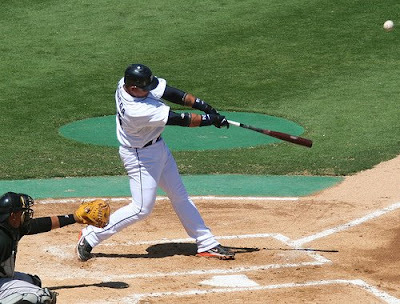 At the same time, I didn't want a shorter term deal because I want Cabrera to be a Tiger for long time. Eight years seems perfect. The trade is now complete and I'm calling it an unqualified success.